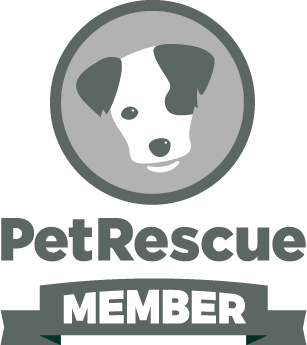 We are the Toowoomba RSPCA shelter and we rehome pets to new homes. 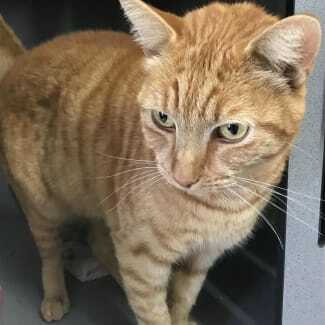 Hello Everyone, We have entered the care of the RSPCA as we were unclaimed at council and would love to find our new forever home. * We would fit into any family home or be a special companion for someone. * We will need lots of love and attention and also plenty of toys to play with and a nice big scratchy pole for us to run around on. * If you have any other pets at home please introduce me slowly so we can become great friends. * It is highly recommended that I be an inside only cat to keep me safe and happy. I am also litter trained. My adoption fee includes me, my desexing, microchip and health check and makes sure I'm up to date with vaccinations, worming and flea treatments! Hello Everyone, Dottie here and I have entered the care of the RSPCA with my borthers and sisters, as we were unclaimed at council and would love to find our new forever home. * I would fit into any family home or be a special companion for someone. * I will need lots of love and attention and also plenty of toys to play with and a nice big scratchy pole for us to run around on. * If you have any other pets at home please introduce me slowly so we can become great friends. * It is highly recommended that I be an inside only cat to keep me safe and happy. I am also litter trained. My adoption fee includes me, my desexing, microchip and health check and makes sure I'm up to date with vaccinations, worming and flea treatments! Hi everyone! I'm Sebastian :) I'm a very handsome loving man in search for my forever home. * I would love a home where I can lounge around, relax and become part of the furniture. 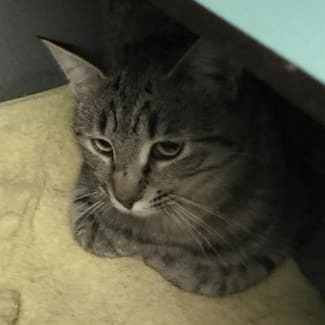 * I am a very friendly and loving cat and would be a great companion for any family who is willing to give me plenty of love in return. 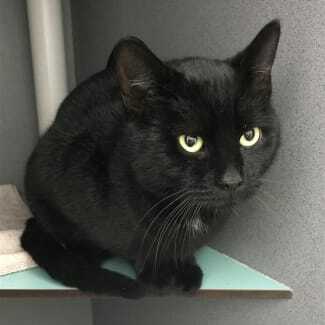 * I would prefer a home where I can be kept indoors to keep me safe and sound from the outside world, because even though I'm big and tough it's too scary out there for me. * My adoption fee includes me, my desexing, microchip and health check and makes sure I'm up to date with vaccinations, worming and flea treatments! Hello to you all!!! My name is Darius and I am on the prowl for my new home and I want you to help me with that. I'm a nice, handsome man that loves to talk to you and let you know how my day is going. I like to get attention when I want it. I do come in for the occasional smooch and do like neck and back scratches, just at my own pace. I would like to remain and indoor cat as I would feel much safer than being out in the big world. I do like some toys, so if you would be able to get me some and maybe a scratching pole, you would be the best. I want to be the star of my own show and don't like to share, so I would need to be the only feline in your life. If I sound like the guy that would fit into your life, please visit me at the Toowoomba shelter to day and lets get to know one another. See you soon. 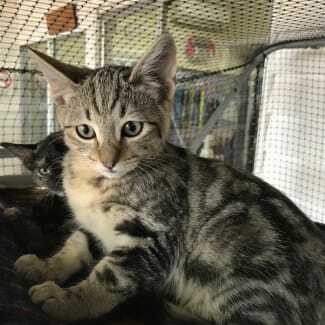 My adoption fee includes me, my desexing, microchip and health check and makes sure I'm up to date with vaccinations, worming and flea treatments! 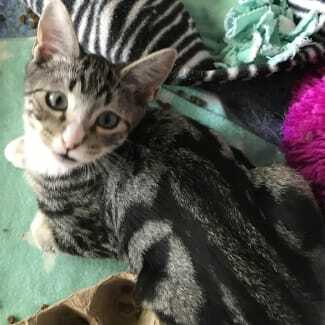 Hello everyone my name is Annie, I am a beautiful little girl that has entered the care of the RSPCA with my siblings as our previous owner could no longer care for us. * We would fit nicely into any family home with older children or be a special companion for someone. We will need someone that can spend the time with us to help us settle into our new home environment. * We are good with other cats but if you do have any existing pets at home please introduce us slowly so we can become great friends. * It is highly recommended that we be inside only cats to keep us safe and happy. We are also litter trained. My adoption fee includes me, my desexing, microchip and health check and makes sure I'm up to date with vaccinations, worming and flea treatments!